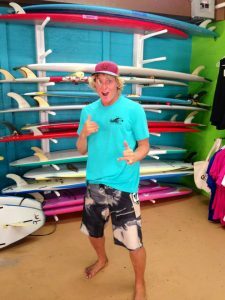 GOOFY FOOT SURF AND STAND UP PADDLE SCHOOL was established on Maui in April 1994 by Tim Sherer, to perpetuate his relationship with Mother Ocean & to teach the ancient Hawaiian sport of surfing. We are dedicated to providing professional surfing lessons to all students in the spirit of fun and learning. We are committed to facilitating the highest level of experience for our guests with a focus on safety, ocean awareness and fundamentals. YOU WILL STAND AND RIDE A WAVE IN ONE TWO-HOUR LESSON, OR IT’S ON US!! LEARN TO SURF AT THE ROYAL SURFING GROUNDS! Breakwall Beach in Lahaina is the site of an ancient royal Hawaiian burial ground and surfing beach. 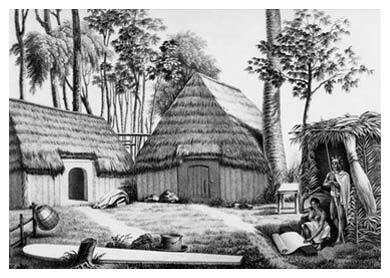 It is also the site of a modern day revival in surfing and outrigger canoeing. One of the most important aspects of learning how to surf is of course, access to the most ideal surfing locations for learning. 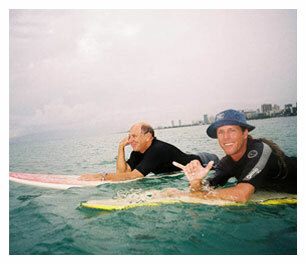 Maui’s coastline offers beginner surfers some of the most beautiful warm water surfing conditions in the world. The primary surf break where we teach is today known as the Breakwall, and is about as perfect as it gets for learning to surf. 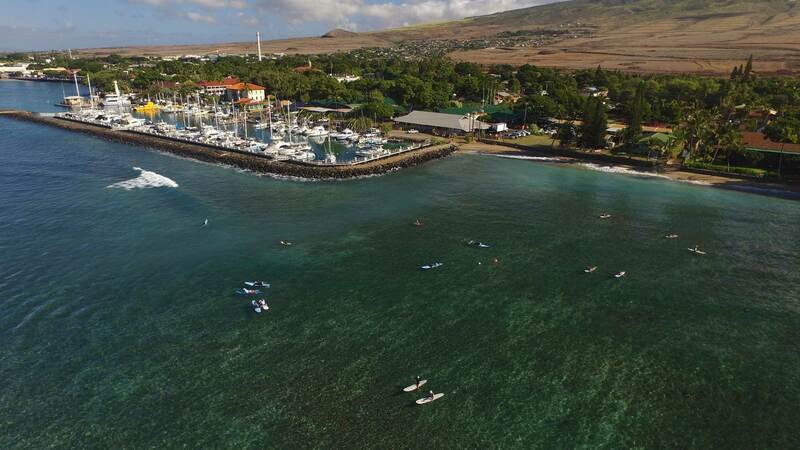 This sacred royal surfing location is positioned oceanside of the Lahaina Harbor and is a renowned surfing playground of the Ancient Hawaiians. We at Goofy Foot Surf School feel exceptionally appreciative, honored, and privileged to be able to perpetuate the Hawaiian Sport of Kings on this beautiful piece of the planet. Waves grace these surfing grounds year round, blessing us with consistent wave action and a variety of conditions daily. The wave is very gradually sloped when it breaks and it continues as a gentle white-water roller for a considerable length of time as it peels toward shore. This offers beginners a chance to ride waves in the clear, shallow water for enough time to get a real feel for the board and ocean underneath their feet! At Goofy Foot Surf and Stand Up Paddle School, we love what we do, and it shows. Our staff is comprised of Maui locals and travelers alike, and the one thing we all have in common is easy to guess: it’s a deep love of mother nature and of the sport of surfing. Our instructors consistently receive 5 star reviews online, and many of our guests return year after year to surf with their instructor again, after having so much fun during their first lesson. Our instructors pride themselves on being professional, courteous, and welcoming to all our guests. We treat each student’s safety and well being with the same care as we would for any member of our “Ohana” (family). Book a surf or stand up paddle lesson today and you will see what makes Goofy Foot Surf and Stand Up Paddle School one of a kind!